We're helping wedding videographers everywhere tell better stories. 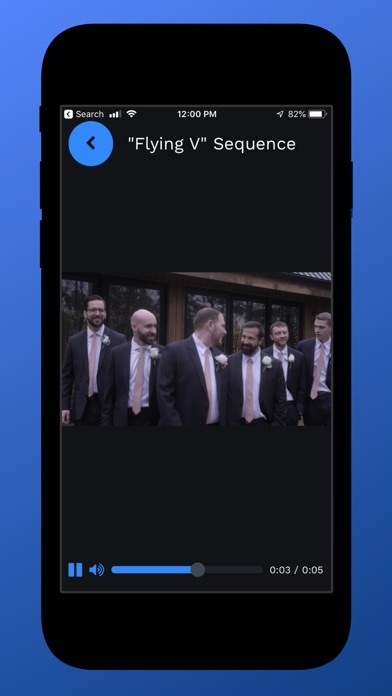 Say goodbye to the confusion and uncertainty of the wedding day with the Storytellr app. Using experience from 100's of weddings, we've broken the wedding film down into 70 shots to create the perfect wedding video. Storytellr is a collection of important "day-of" shots, couple poses and much more. Not only will you see examples of each shot, you'll get a behind the scenes look at how each shot was captured. 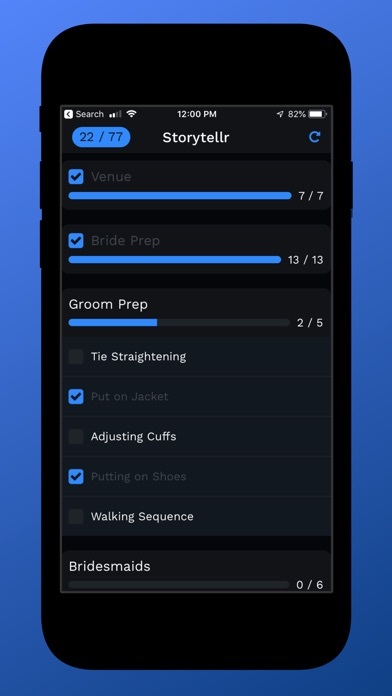 Storytellr also functions as a checklist, so you'll never miss a shot again. Worry less, Tell better stories.